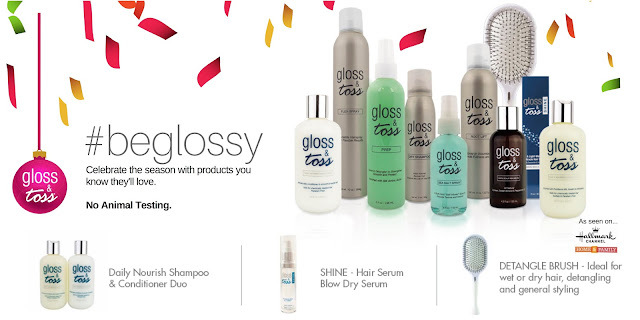 Celebrity Hair Stylist Billy Lowe is a Los Anglees based hair stylist and the founder of Gloss & Toss hair products delivering the best results for healthy, shiny, radiant looking hair. From our signature hair serum to our amazing detangle brush, Gloss & Toss hair products are an expansion of Lowe's 20+ years in the health and beauty industries. Our mission? To demystify the world of "Hollywood Beauty" and make hair products, tips, and services available to customers everywhere to achieve gorgeous hair results and more look good - feel good moments. The Ultimate Wedding Hair and Bridal Beauty GiftWedding hair and makeup take a lot of planning and bridal beauty is a very important part of wedding day and all of the events leading up to that special day. Quilt Market 2018 Portland Let me begin by saying, "I DON'T QUILT!" But my family has a rich history of crafts, music, and creating. Wait did I mention cooking and baking? 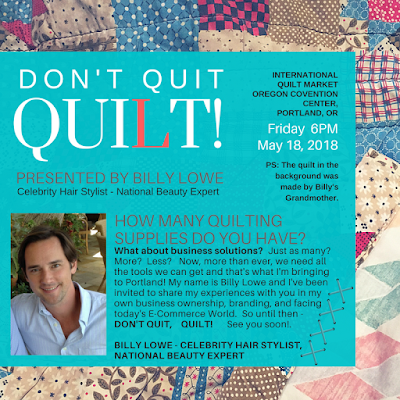 And after 25+ years in retail sales and marketing, life on the red carpet as a hair stylist, and basic knowledge of today's retail market, I've been asked to share some experiences at the International Quilting Convention in Portland, Oregon this year. Shop our Red Carpet Hair Styling Kit and Best of Beauty Products. Los Angeles is Red Carpet Hair and Beauty Buzz during Awards Seasons. Many movie "nods" are given, head-to-toe beauty appointments get booked, and fans around the world tune in to see who won, how often, and what the element of beauty was for the event. What's not to be missed? From Celebrity SWAG bags to step and repeat photos, and the anticipation of who actually won, it's non stop action (and helicopters all night long). And on top of all of that excitement will be the follow up photos in your favorite magazines dishing who showed up, who wore what, and how it was done. Red Carpet Results To Go! Here's how you can get a Red Carpet hair style yourself without spending hours on your hair at home or the pain and frustration of pins and clips. We think is all about keeping it easy and being you, rather than being pinned up! This super tip "Destresses your Tresses!" Well, sort of. When I travel for work, people ask what it's like to work on the red carpet or as a hair stylist in Hollywood and I simply tell them "The red carpet is wherever you put one.Hollywood just televises it." The red carpet seems such a mystery to people "way out there." It seems to be something that's untouchable or unreachable. But truthfully, it's available to you no matter where you are. They sell them at Home Depot in fact. 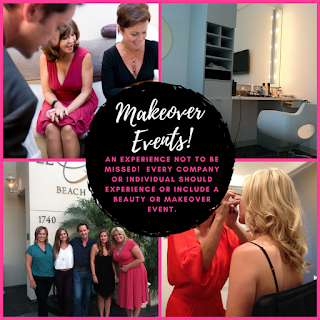 Book a makeover in Los Angeles or Southern California during your vacation Perhaps a makeover party would be the ticket. Or maybe you'd like to nominate someone for a makeover for a lifetime achievement or a simple "pamper me" day in the Southern California area. Is your company planning a year end "employee of the year" celebration and you're wondering what to give? How about a national sweepstakes prize give away? Or perhaps you'd like to have a Hollywood makeover event brought to you on location. Wherever you are, scheduling a makeover is just as exciting as it sounds. 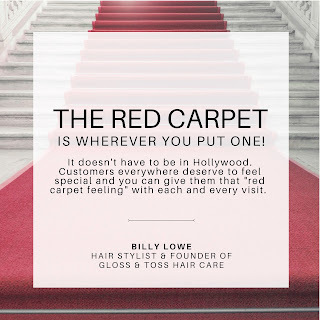 BILLY LOWE HAS WORKED JUST ABOUT EVERY SIDE OF THE HOLLYWOOD BEAUTY INDUSTRY AND HE'S A TRUSTED SOURCE WHEN IT COMES TO DELIVERING AN OUTSTANDING BEAUTY OR MAKEOVER EVENT.